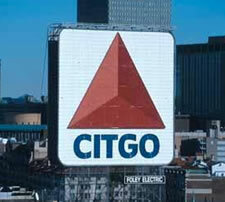 Citgo is a U.S. refining and marketing firm that is a wholly owned subsidiary of Venezuela's state-owned oil company. Money you pay to Citgo goes primarily to Venezuela -- not Saudi Arabia or the Middle East. There are 14, 000 Citgo gas stations in the US) By buying your gasoline at Citgo, you are contributing to the billions of dollars that Venezuela's democratic government is using to provide health care, literacy and education, and subsidized food for the majority of Venezuelans. Instead of using government to help the rich and the corporate, as Bush does, Chavez is using the resources and oil revenue of his government to help the poor in Venezuela. A country with so much oil wealth shouldn't have 60 percent of its people living in poverty, earning less than $2 per day. With a mass movement behind him, Chavez is confronting poverty in Venezuela. That's why large majorities have consistently backed him in democratic elections. And why the Bush administration supported an attempted military coup in 2002 that sought to overthrow Chavez. We should all work for political changes that move our country toward a cleaner environment based on renewable energy. So get your gas at Citgo. And help fuel a democratic revolution in Venezuela. You know, I'm sure Chavez is no saint, but overall the guy seems to be doing the best thing for his poorest citizens down there. Using gas money to provide health care and education? What a concept! Giving land stolen by previous super-rich friendly administrations down there back to citizens (with deed) to develop? Insane! It's no surprise that the elite of the country, many of which have strong ties to our elites, hate Chavez with a passion. The guy is demonized in the American press constantly, while treated as a respected head of state in other countries. 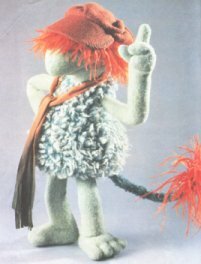 I think Hugo knows he's on "the list". He'll either be invaded at some point, which is why I believe he's arming his citizens and is telling them to fight off any invaders that want to "help" them and bring "democracy", (by bombing them and wrecking everything like was done in Iraq), or he'll be assassinated. They've already kidnapped him once in 2002 and tried to overthrow his government; documented in the amazing Revolution Will Not Be Televised documentary. It'll be interesting to see what happens with Hugo Chavez over the next few years. The guy has balls, as evidenced by him going on TV a few months ago and calling W a donkey. In case you dont have bandwidth and were after a copy of The Revolution will not be Televised - which is an awesome insider view of a classic engineered coup, or the amazing "We, The Unauthorised" which the good people at this blog have also pointed out, you may want to check out www.iiahr.blogspot.com - there's tonnes more video there.